How could lasers bring 3D printing to the next level? New 3D printing technologies are regularly unveiled by researchers all around the world. And today, we are going to tell you about this new experiment from Clemson University in South Carolina USA! Researchers at Clemson University are currently working on a new 3D printing technique involving rapid laser processing, a process converting electricity into hydrogen in order to store energy. It could be a new revolution for the 3D printing world! What is this project? How will it be useful? Let’s discover what is this laser project right now and get all the answers to your questions. A new Clemson University research project: Bringing 3D printing further! The idea of this project is to create a viable energy storage system, which could provide sustainable and clean energy. Researchers are actually working on new systems which could significantly improve energy storage; in a world where we actually need more and more energy for all the devices we use in our daily lives. Thanks to their 3D printing and laser processing technique, these researchers are able to create what is called “protonic ceramic electrolyzer stacks”. Actually, these electrolyzers can be used to store energy from solar and wind power. This new technology developed by Clemson researchers could offer new opportunities for 3D printing technology. But here is the first challenge: an electrolyzer requires four different types of ceramics, which make the process quite complex. Each ceramic needs to be sintered, but each type of ceramic material needs to be sintered at a different temperature. A real challenge for this research team. This project has been led by Jianhua “Joshua” Tong, a professor of material science and engineering. What is his goal? He wants to take the 3D printing technology to the next level. This professor is actually leading the research with $1.6 million from the U.S Department of Energy’s Office of Energy Efficiency and Renewable Energy. What are the advantages of this new technique? Jianhua “Joshua” Tong explained that this new laser 3D printing technique would reduce the cost and time of manufacturing highly compacted electrolyzers. It could be a solution to cut the cost of hydrogen production in half, and also decrease devices sizes. For him, the same technique could be applied to 3D print other types of ceramic products, including batteries and solar cells, for example. 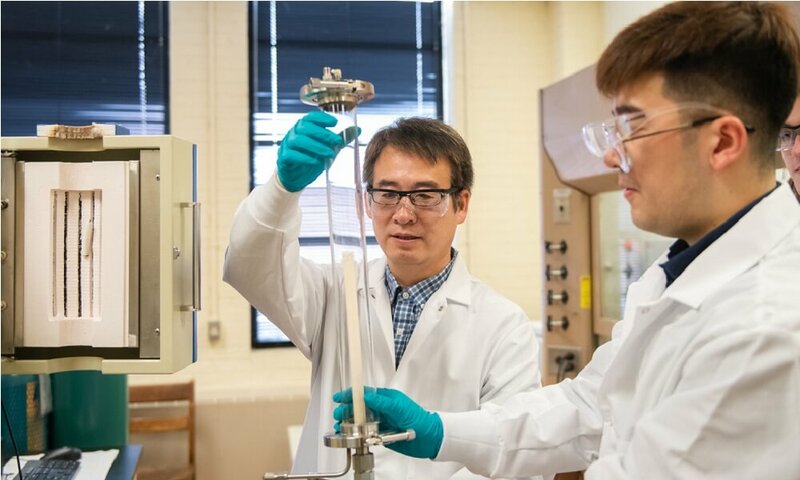 A design for a car’s fuel-cell stack could be sent by email to a factory anywhere around the world, and it could be printed within hours rather than waiting for days or weeks for delivery, explained Jianhua “Joshua” Tong. 3D printing and energy are actually making a great couple. This cutting-edge technology allows developing a lot of innovative and impressive projects using ceramics. Ceramics are some of the most promising materials in the 3D printing industry, as we saw previously in our blog post about the biggest innovations and trends from the tradeshow Formnext. 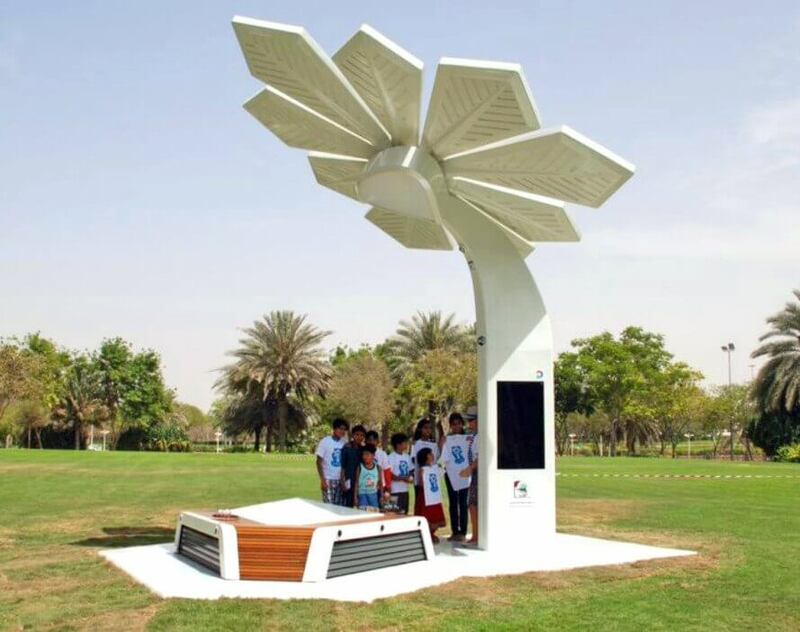 It is not the first project involving both 3D printing and energy. Indeed, additive manufacturing can help to develop new systems, but it can also be implemented in the manufacturing process of devices that we already know, like wind or gas turbines. In a previous blog post, we already saw several projects where 3D printing was used to create energy. Indeed, this cutting-edge technology is already helping to give life to solar panels, new kinds of batteries, wind turbines, and parts of gas turbines. Additive manufacturing actually allows developing new designs or custom parts at a lower price. It can also lead to an incredible project, linked to energy storage: 3D printed battery parts. Researchers at Manchester Metropolitan University and the University of Chester and Central South University in China printed disc electrodes using graphene material. With the development of conductive 3D printing, we can see that this technology is now offering opportunities to create energy-related systems. The possibilities are numerous, and we can tell you that it is only the beginning of the revolution: additive manufacturing will soon enable the manufacturing of more and more different devices in this field. Share your views with us about this new 3D printing innovation! Do you have a 3D printing project? Don’t hesitate to upload your 3D file on our online 3D printing service. Do you want more 3D printing news? Subscribe to our weekly newsletter right now.